At a time when the media’s relation to power is at the forefront of political discussion, this book considers how journalists can affect public discourse on politics, economy and society at large. 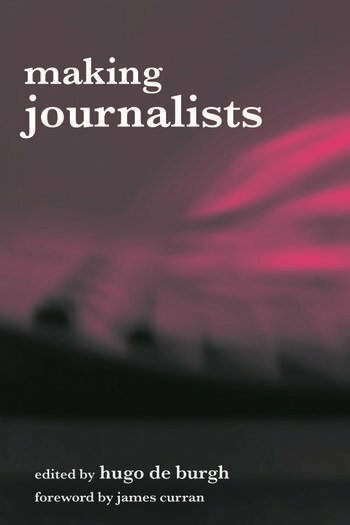 From well-known and respected authors providing all new material, Making Journalists considers journalism education, training, practice and professionalism across a wide range of countries, including Saudi Arabia, Africa, India, USA and the UK. the ethical implications of the process. When news reporting can lead to decisions on whether or not to got to war, everything can be affected by journalists and their mediation of the world. This text brings these present issues together in one invaluable resource for all students of journalism, politics and media studies. Hugo de Burgh is Professor of Journalism at the University of Westminster. He writes on relationships between journalism and modernisation and has published books on the history of journalism in China, and on investigative journalism.